Environmental benefits were key factors in Alunorte’s decision to award this Brazilian contract to Siwertell. 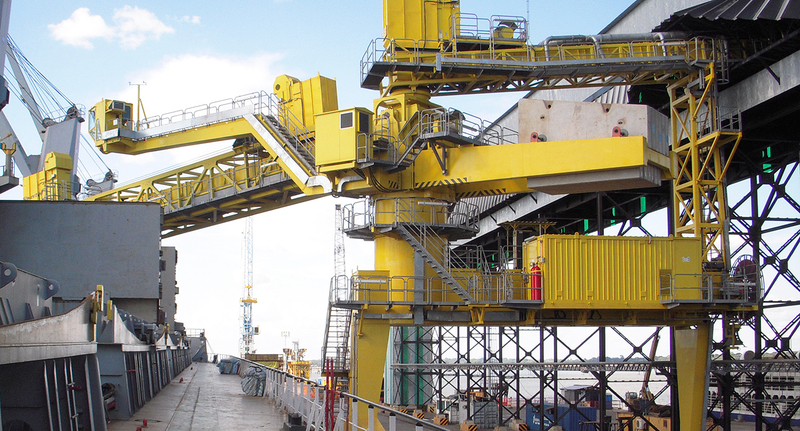 All Siwertell ship loaders are totally enclosed providing a dust-free operation with no spillage. 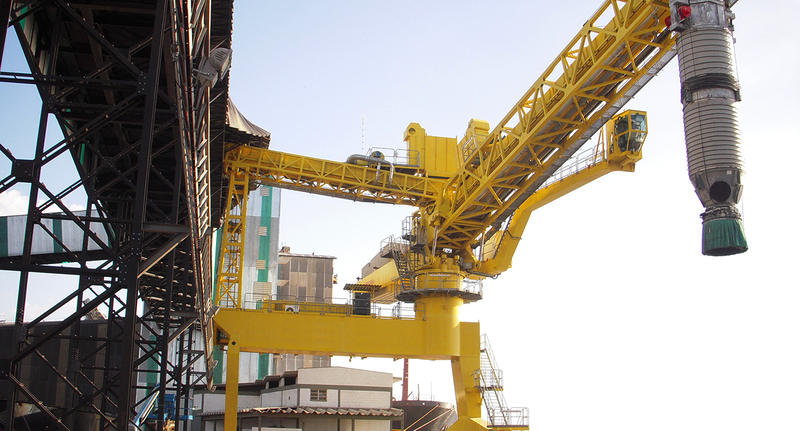 Environmental benefits and mechanical efficiency were key factors in Brazilian alumina producer Alunorte’s decision to opt for a Siwertell alumina ship loader. 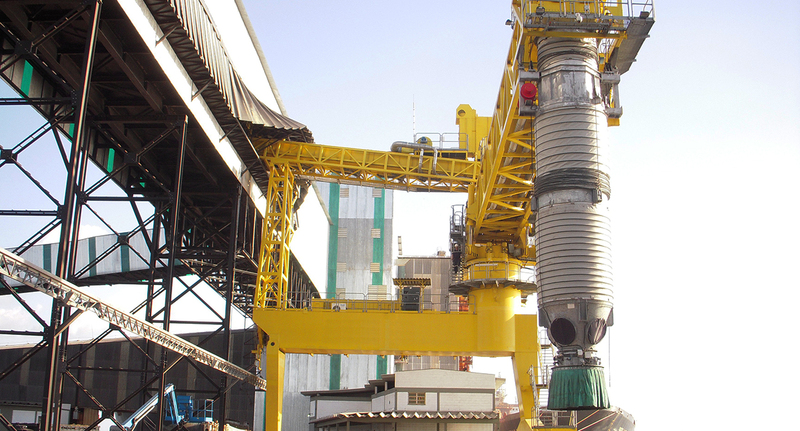 It is used to load Kamsarmax vessels of up to 80,000 dwt at Alunorte’s production plant in northeast Brazil. Alunorte owns one of the world’s largest alumina production plants. 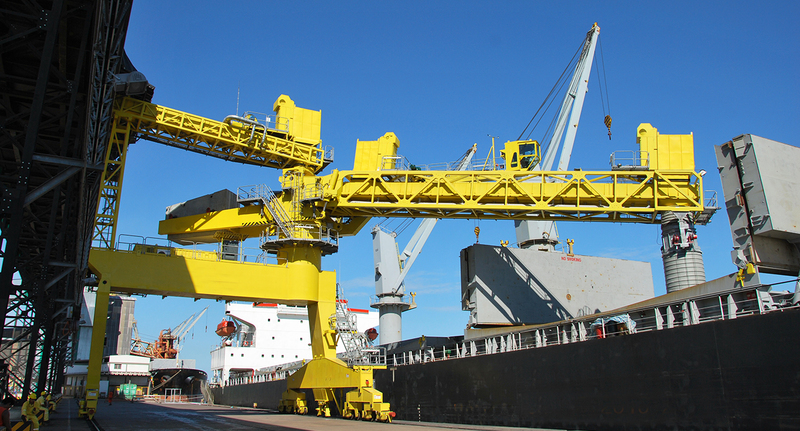 It contracted siwertell to replace its existing belt-type ship loader, which needed to be changed because of problems related to its high dust emissions. Siwertell’s new ship loader is built to a different design concept. The new design is based on a totally enclosed air slide system and a Cleveland cascade-type vertical telescopic loading spout. The provision of two dust collectors at the transfer points makes this a very efficient loading system in terms of the elimination of dust emissionsz into the environment. The loader is constructed on a travelling gantry and has one horizontal arm capable of slewing and luffing motions, fitted with a vertically adjustable loading spout. The operator cabin is located on an arm which extends out over the ship’s hold. 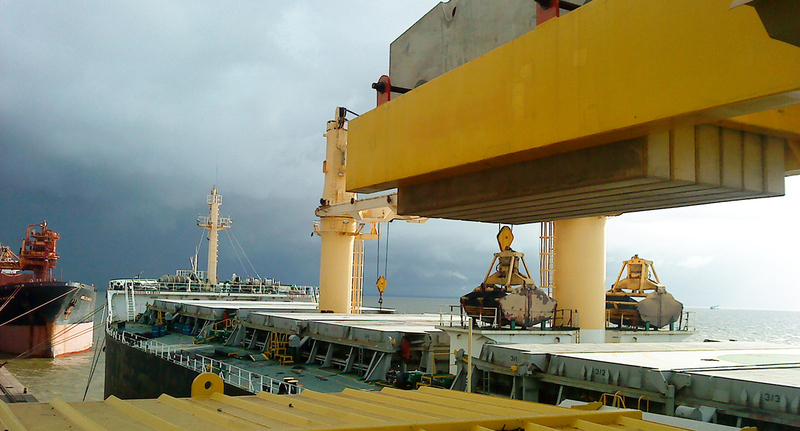 This provides the operator with a perfect view of the loading operation.